Mini Golf Stars is back and better than ever! The follow up to one of the top, free sports games of all time, Mini Golf Stars 2 has even more beautiful courses, higher stakes multiplayer, and the most amazing game play. 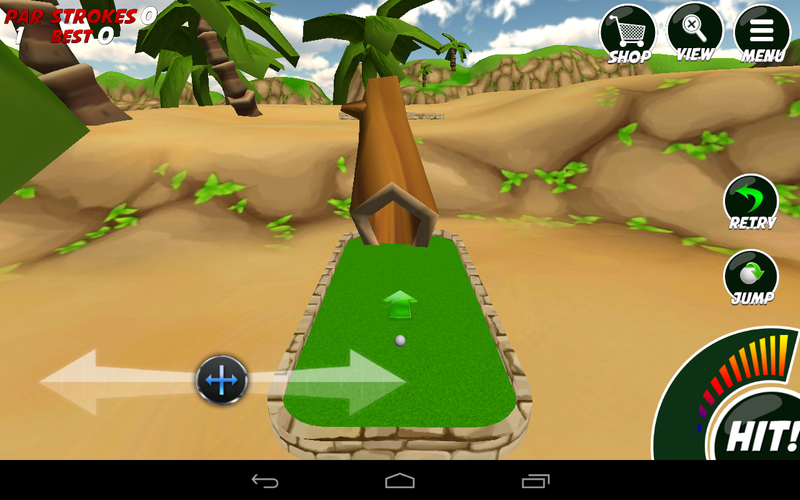 Mini Golf Stars offers the closest golf game simulation since Golden Tee Golf. Smooth and Precise touch controls let you feel the greens and sink that clutch birdie putt to earn 3 STARS. Mini Golf Stars 2 would like to introduce Skillz Multiplayer. Play for zPoint and rise to the top of the leaderboards. Play our and take on other mini golf superstars. Create your account and let the games begin! With 1 Hole Shootouts, Mini Golf Stars will test your skillz to see if you have what it takes. While its simple to play, its hard to master. Learn to master the putt putt courses with an innovative 3 star scorecard. There are no rules, no clubs, and no wimps allowed in MiniGolf Stars 2! Play on beautiful beaches, over aired desert sands, and learn to master challenging obstacles, slopes, turns, jumps, and ramps! • Over 100 Unique Holes that Range in Difficulty from Easy to Nearly Impossible. Please Rate Fairly – If you have any improvements or words to share about the game, please drop us a line at support@truportfolios.com – We really want to hear what you have to say!